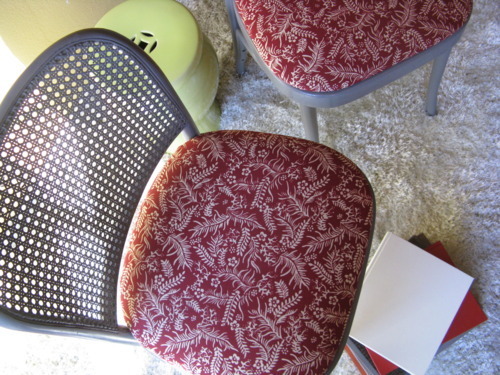 airs of chairs are irresistible to us. In fact, we’ve been told that if you can find a pair of matching chairs or lamps in a vintage store, you should buy them. 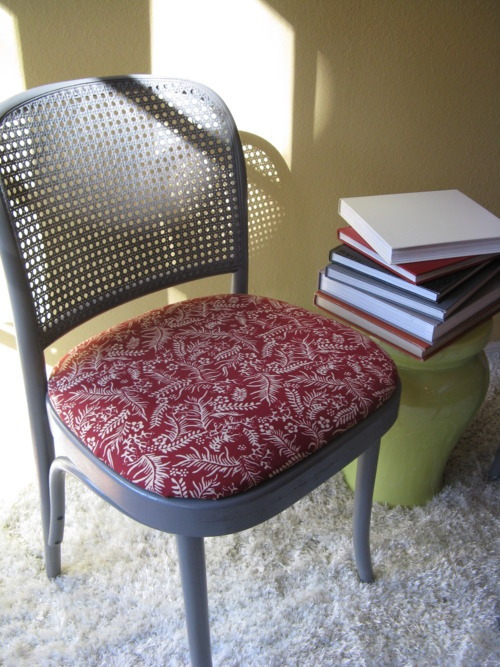 Things are always better in pairs… and much more useful in decorating! 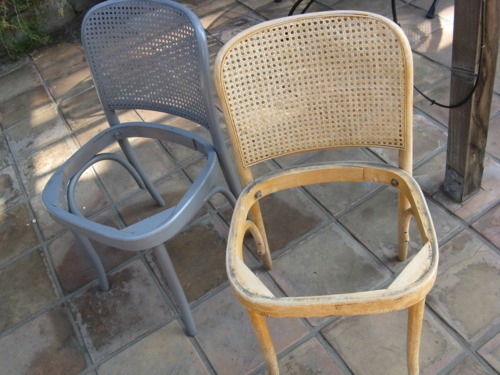 We found these vintage 1980s Thonet cane-back chairs for $8 apiece. Loved the styling. 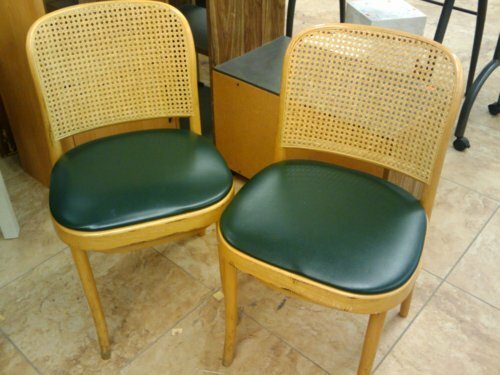 Didn’t love the hunter green vinyl seats (ugh). And we thought the natural light color of the wood would look better in a semi-gloss gray. 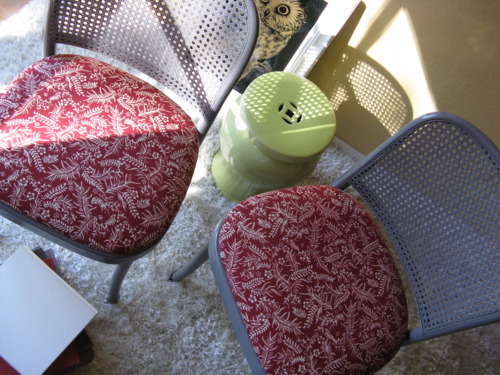 We covered the seat cushions with a vintage batik tablecloth that we also thrifted — for just $4. So, including spray paint, our total came to $28!